Croatia and Real Madrid’s Luka Modric broke the Lionel Messi-Cristiano Ronaldo ten-year supremacy once again as he clinched the 2018 Ballon d’Or on Monday. 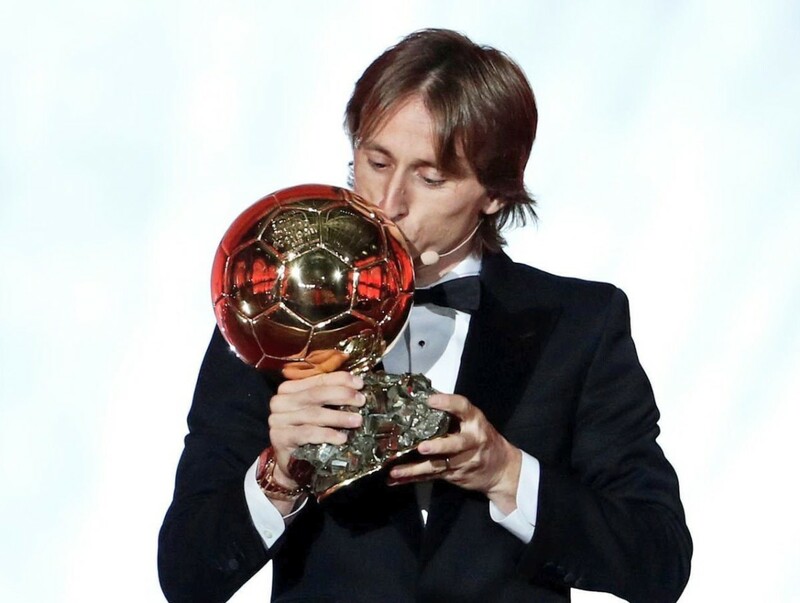 Messi and Ronaldo were the two who had won football’s top individual prize for the last decade but Modric changed it all this year. He helped Croatia get to their first ever World Cup final in Russia during the summer. The 33-year old is the first Croatian to win the prestigious award. Ronaldo came second followed by Antoine Griezmann and Mbappe as the fourth. Messi finished outside the top two for the first time since 2006! Egypt’s Mohamed Salah finished sixth – with Raphaël Varane the highest-ranked defender overall in seventh. Kylian Mbappe won the first ever Kopa Trophy, an award for the best player under the age of 21 which was voted for by the previous 33 winners of the main award. Mbappé beat the likes of Gianluigi Donnarumma, Justin Kluivert and Trent Alexander-Arnold to the award. The PSG and France youngster is the fourth youngest player to have scored in a World Cup, aged 19. Lyon striker Ada Hegerberg has won the inaugural women’s Ballon d’Or. She scored an incredible 42 goals in 25 games for her club last term. The ceremony of the Ballon d’Or was hosted by former Tottenham and Newcastle star David Ginola at the Grand Palais in Paris on Monday.